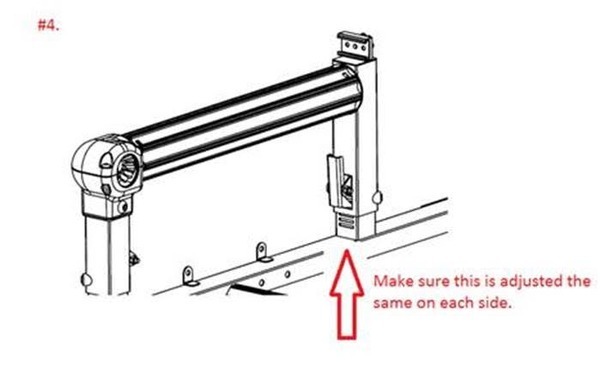 Rehoop quilting fabrics on a space saving 3x5' frame for any size quilt! 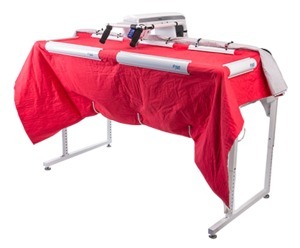 AllBrands Includes Battery Powered Grace Laser Stylus, SAQCFSK1 Dream Frame Starter Kit, THE Dream Fabric Frame with a FREE SAQCFSK1 (Dream Fabric Frame Starter Kit:) MSRP $99.00. Kit Includes: top & bottom fabric with batting, 10 pack quilting needles. 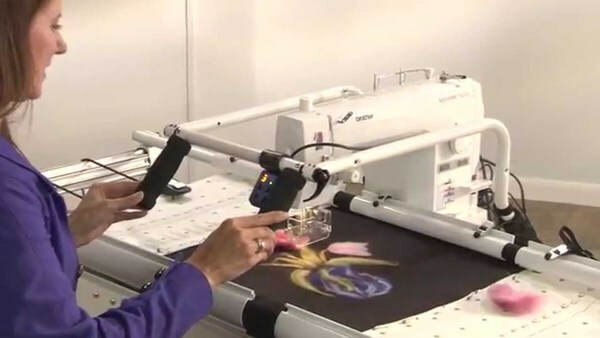 Appliqué: Apply free-motion stitching to your appliqué piece to create a unique scene. 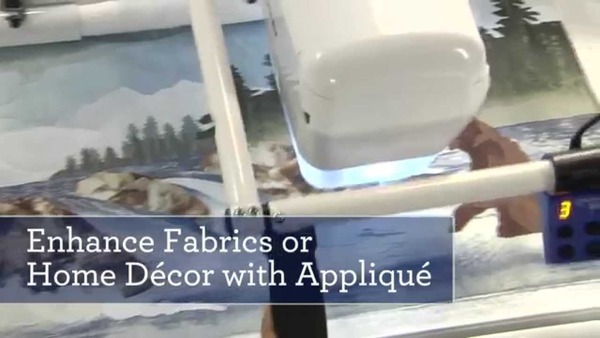 Simply adhere fabric pieces in place with double-sided fusible and stitch over the edges. Use a twin needle for a more decorative look. Needle Felting: Easily turn roving and wool yarns into artful embellishments. Add felting on top of embroidery, or felt a variety of fabrics without adding roving or wool, including Dupioni Silk, Cotton Flanel and Polar Fleece. *For Use With: The Dream Machine XV8500D, VM6200, VM5100, VQ3000, VQ2400 DreamCreator, which all have 3 way multi use foot control capability.